You're Welcome, I tried posting about it the other day as it isn't Meant to work and I mentioned the G word and got slated lol. I had the post removed. 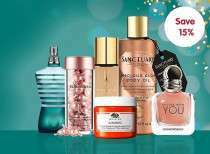 15% off when buying 2 products/gift sets + Extra 15% Off with code + free delivery eg a Liz Earle & a Clinique set for £17.34 Mother's Day! How can you tell which 247 items are in the offer? Has it ended now? Thank you for saving me a lot of money. I've got two 15% off vouchers just because I wasn't in when they try to deliver. I got one when I contacted their customer service to reschedule the delivery, which they don't. Then I got the other voucher for me to place replacement order when they cancelled my first order! Thank you, got a Molton Brown bath and shower gel and Molton Brown hand cream for £21.67 delivered! Always on the lookout for a deal on this and Mostly i can never get one on my colour choice but at last this deal has them all. Code also works on others products on the site. Is this a sweet smell? Sorry I forgot to say that's including delivery which I think is £3.95! Hmm not on the shade I need. I’m not sure this is a mistake on Debenhams’ part. 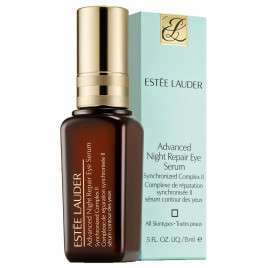 There was a similar Lancôme offer recently. I’m starting to think they’re just desperate for any sales at all, given their financial situation and having seen the level of discounting in store. I could ofc be wrong! As much as I rate EL skincare and makeup, yes you’re right these are tiny. In theory, if you look at the RRP it’s a “good deal”, but only if you actually would have bought that type of product anyway eg moisturiser. The total gift RRP includes an assortment of items, which may not all be for everyone. My answer: it depends. You’d only really be getting the full value of the RRP if you would actually want/use all the items. OTOH you could see this as a more affordable way to try out EL products. The downside of this is if you find the EL products to be far preferable to your current, £££! Isn’t it the normal price at other stores ?? 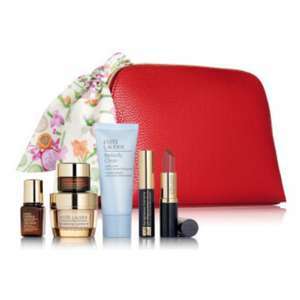 Buy two Estee Lauder items at House of fraser and get gift with purchase. Is this Instore only ? Amazon have 100ml from 32 quid so not sure this is that special. Love this but the cologne is weak, doesn’t last more than a couple of hours. Anybody know when boots will be reducing their bits to 75% off like they usually do? Add to basket and price drops to £17:42. Free standard delivery. Add cheaper item into your basket + add 2 free samples too. Just add cheapest item like sharpner or pump for £5.50 and click checkout then u can choose other 2 free samples. Which colour did you get? Thats good, i also love it + lipstick shade is very pretty too.